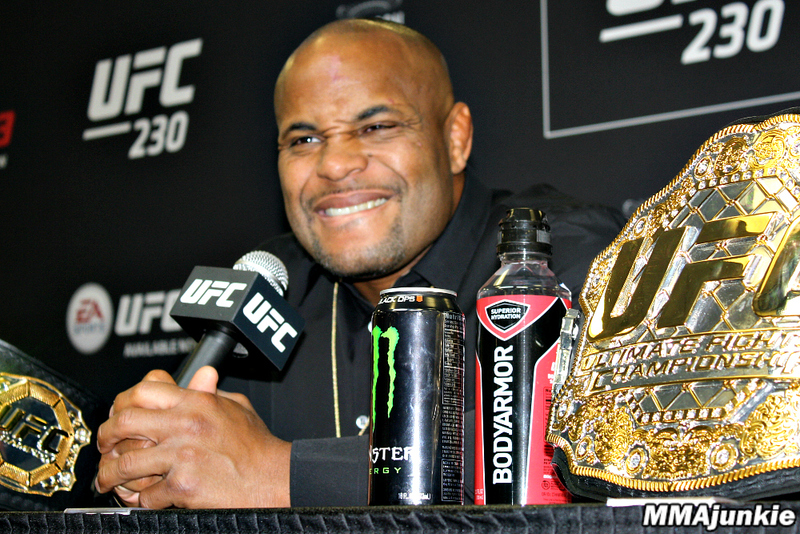 UFC heavyweight champion Daniel Cormier ready to postpone the end of a career due to a long recovery from injuries. Daniel told the MMA Hour in the interview, why he could not now lead the battles. "I'm not sure I will repeat my training as if I had fought in New York when I was not 110% fit, but I had to fight, my back was falling apart because I had flung myself from scratch to get ready for the battle in three weeks This can not be done, I need four weeks of preparation for training to bring the body to full training in combat for eight weeks. I was preparing for 12 weeks. And now I've done everything in four, so my body started to fall apart. Recovery is not as fast as I expected. We are not waiting for Brock Lesnar. It's about my injuries. I can not fight. If I could, I would probably fight Stipe Mioczi. I was in a similar state in 2015, when I fought for the first time with Jones, then with Rumble, and then with Gustafsson. Then I fought only in July, or nine months. I had to regain my health. Last year there was a similarly tight schedule. "